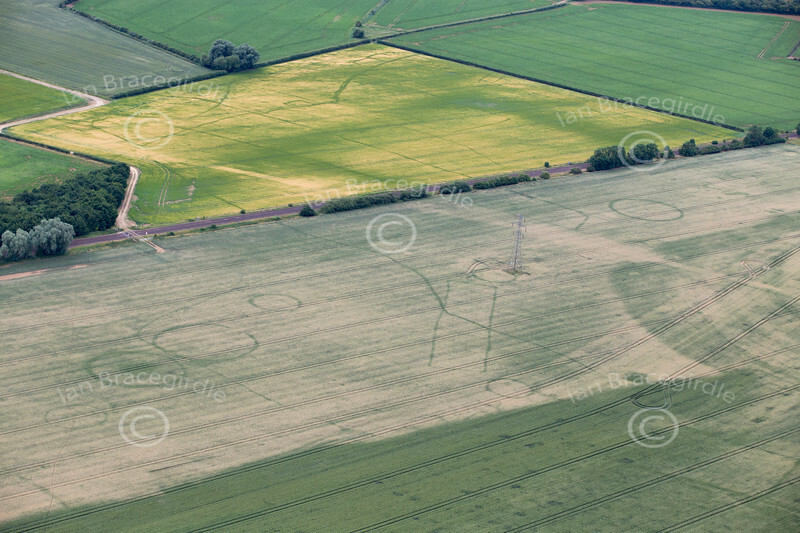 Aerial photos of crop marks and Earthworks useful for illustration of aerial archaeology. Aerial photo of crop marks. An aerial photo of crop marks showing circular enclosures, pit alignments and tracks near Tallington in Lincolnshire.